Yale's Whiffenpoofs rocked the house with Michael Buble's "I Just Haven’t Met You Yet," but despite their performance, they were kicked off the NBC show "Sing Off" on Wednesday night. Yale's 201-year-old a cappella ensemble was the fourth group to be eliminated from the show. In case you've missed it, "Sing Off" is an a cappella competition featuring 10 musical teams from around the country. Before being booted, the Whiffenpoofs did get some kudos from the judges. "What you guys just did melted my heart," Pussycat Doll Nicole Scherzinger told the Ivy League ensemble. There was some criticism too though. "The lead vocals weren't as strong as I hoped," Shawn Stockman, of Boys II Men, said during judging. 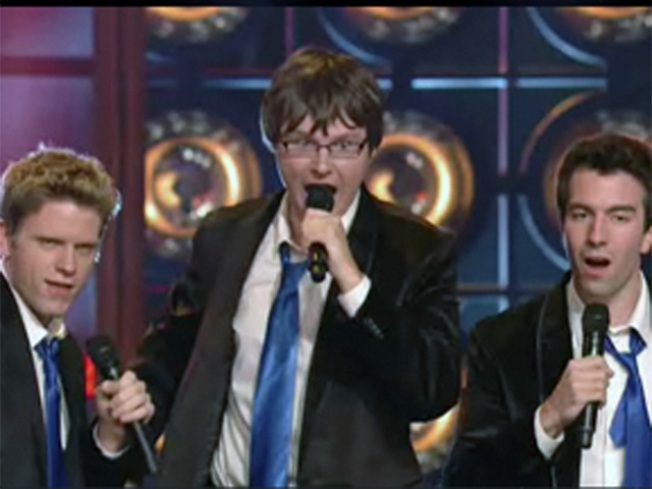 After their elimination, the Whiffenpoofs performed "Home Sweet Home," by Motley Crue for their Sing Off goodbye song. This is the show's second season. On Monday, the Whiffenpoofs performed Mika's "Grace Kelly" to advance to the second round.